It’s hot in New York right now….really hot. 93 in the shade, and no end in sight for this weekend. And that got me thinking about the weekend warriors preparing to do their gigs in this brutal weather. Loading in the PA and your gear when the sun is pounding on you is bad enough, or a “stage” that’s not covered in the least. But perhaps worse than that is the sweat that results from that heat, and the havoc it reeks on your pick-holding technique. Recently I got interested in researching the different options for pick control. I know there are a lot out there, but I decided to focus on three methods manufacturers are current employing: “negative relief” (holes cut), “positive relief” (texture), and added material (e.g., grip material). So the representations of these I looked at were the Everly Music Star Pick, the Dunlop Max Grip, and the Dava Nylon Grip Tip. 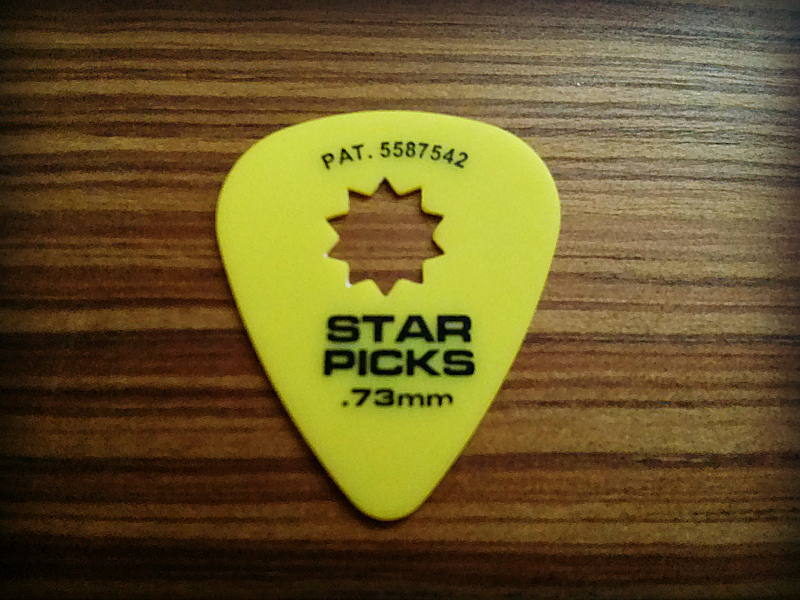 The Star Pick is a standard nylon guitar pick with a unique “star” cut out of the center – essentially giving edges that your thumb and finger would cling on to when you squeeze them together. There are plenty of people out there who have gone the poor man’s route by taking a standard hole punch to their existing pics. Same concept – except the star pattern creates more edges/surfaces for your fingers to connect with. 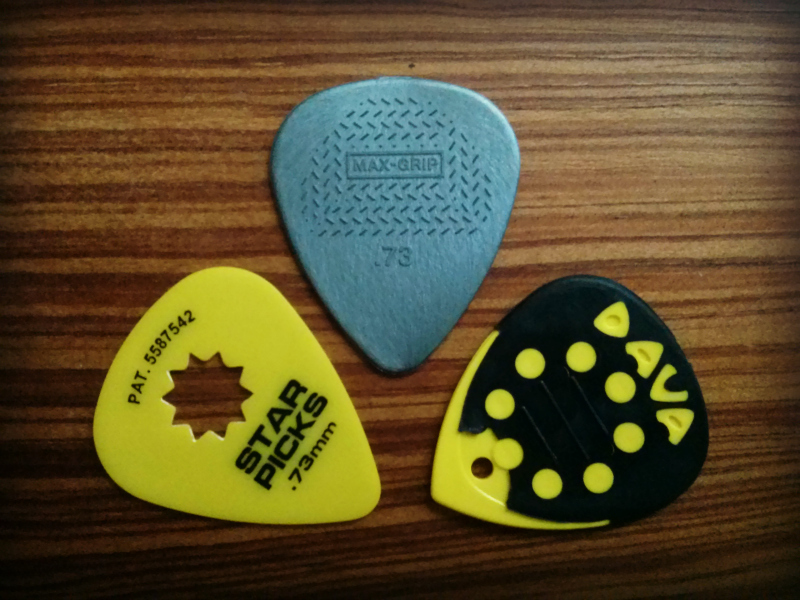 I did find that I’m so used to Dunlop Tortex picks, that the smoothness of the standard Star Pick negated any control I was getting from the star though. While I can keep a decent lock on the pick, it tends to rotate within my fingers more than I’d like. However the sound of the pick is very nice, and what you’d expect. Next was the Dunlop Max Grip. This pick has a rough relief on both sides that feels slightly like sandpaper (another “DIY” trick I’ve read a lot of people try). I found the control on this pick to be VERY good. While it will take some getting used to feeling that kind of roughness on the pick, for a weekend like this it would be comforting to know the pick isn’t going anywhere but where it should be. The one thing I didn’t like about it was that the material felt flimsy. It was very bendy and weak. Marked as .73 mm (same as the Star Pick), it felt more like a .60mm but without the structure to it that coaxes more resounding notes from the strings. Because of this, it was the worst sounding pick of the three. Finally I tried the Dava Grip Tip. I chose the nylon version, as it’s most closely similar to standard picks in shape and material. The obvious difference here is the layer of textured rubber that covers 80% of both sides of the pick. I immediately loved the grip from the rubber. The control was very nice, and I enjoyed the extra thickness it added to the pick. The rubber was very comfortable too. It was like the equivalent of riding a bike with one of those special cushy seats! 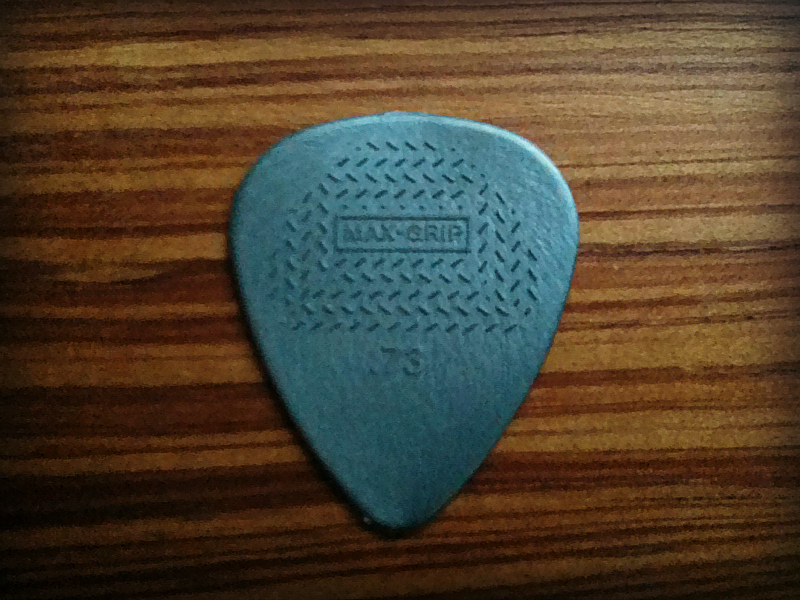 HOWEVER…I also found that the rubber covered too much of the pick. I often – and this could be due to my imperfect pick technique – felt rubber hitting the strings, especially on big strumming exercises. The little exposed point of the pick wasn’t enough for me. So I began peeling away rubber , and it wasn’t easy. I’d still prefer more – at least up to the center of the pick. Maybe Dava will follow my blog and take notes. If it was 95 degrees (yes, it went up since I started writing this) and I was getting ready for that first chord of the gig, I would go with the Dava Grip Tip. It was the best PICK, with the added benefit of the rubber grip. If the Dunlop Max Grip was a better overall pick, then I would definitely change my mind. 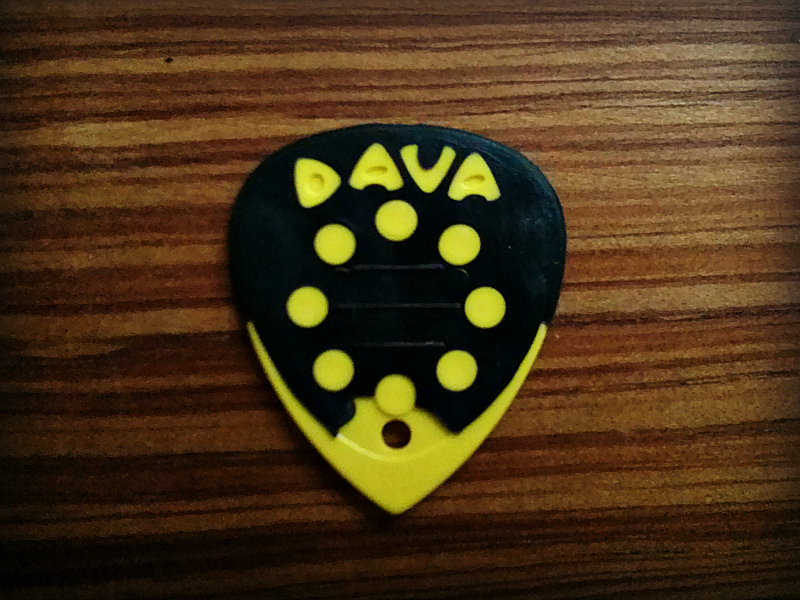 I should try out the original Dava Nylon Control pick, which looks to be similar in design to the Dunlop Max Grip. Unfortunately I just wasn’t impressed with the Star Pick. It does make me wish I had a star-shaped hole punch to try out on my piles of Dunlop Tortex picks though. If I do, I’ll let you know. This entry was posted on July 19, 2013 by davealloway2001 in Accessories and tagged Accessories, Control, Dava, Dunlop, Everly, Gig, Guitar, Music, Non-slip, Nylon, Pick.